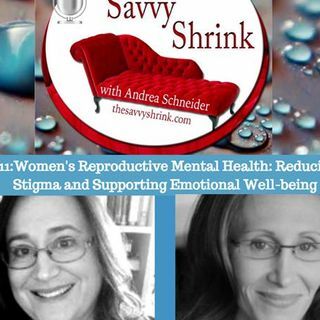 The Savvy Shrink podcast interviews Dr. Carly Snyder, MD, NYC-based women's reproductive psychiatrist, on emotional wellbeing during the childbearing year and across the lifespan. Dr. Snyder addresses stigma-busting and compelling information that will help listeners to learn more about the number one complication of childbirth, perinatal depression/anxiety. She also addresses mental health during fertility challenges, pregnancy, postpartum, birth trauma and perimenopause. Her weekly ... See More radio show, MD for Moms, can be heard Wednesdays at 1pm ET on the BBM Global Network and TuneIn radio, or anytime on BBMglobalnetwork.com/MD-for-moms. Dr. Snyder’s HuffPost parenting blog shares the MD for Moms moniker. Dr. Snyder is the Director of Women’s Health for Family Health Associates.